Years ahead. The First Mechanical Watch with a Smart Crown. The development of the e-Crown® came down to one simple but fundamental question: What if I could trust and rely on my mechanical watch as much as I do for my phone. e-Crown® automatically sets and adjusts the Type 2 to the right time when needed. e-Crown® is activated and controlled by tapping the crystal on the dial of the Type 2, offering a new tactile experience and user-friendliness to mechanical watches. 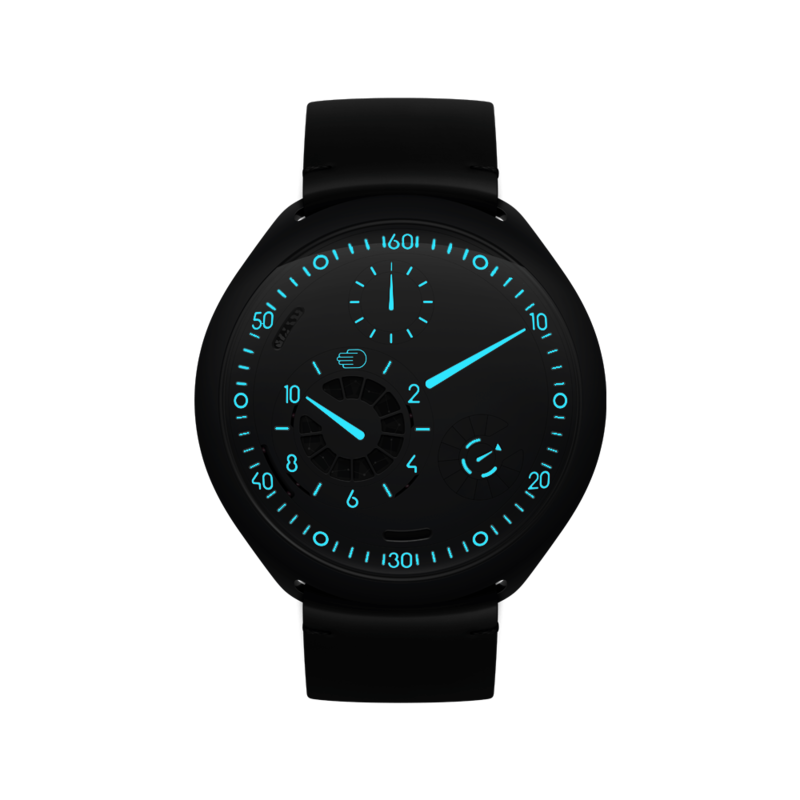 Visually, it is represented on the dial by the selector sub disc and its four modes (time zone 1, time zone 2, app and e-Crown off). "The best way to envision the future of fine-watchmaking is by creating it." Driven by user experience, it combines the reliability of electronics with the emotion and beauty of mechanical engineering. We developed the e-Crown® app to reach an unseen level of convenience and modernity. Using Bluetooth to connect with the Type 2, the app displays a scroll down list of cities to choose from for both time zones to send directly to the smart crown. The Type 2 uses light energy to power the e-Crown®. Photovoltaic cells (some hidden behind 10 micro-shutters on the dial) will use outside light as an energy source making the watch selfsufficient; a fundamental quality in the nomadic world of today. For added travel convenience, e-Crown® can register two time zones. Set the second time zone the same way as the first one and switch from one to another via the mode selector on the dial. 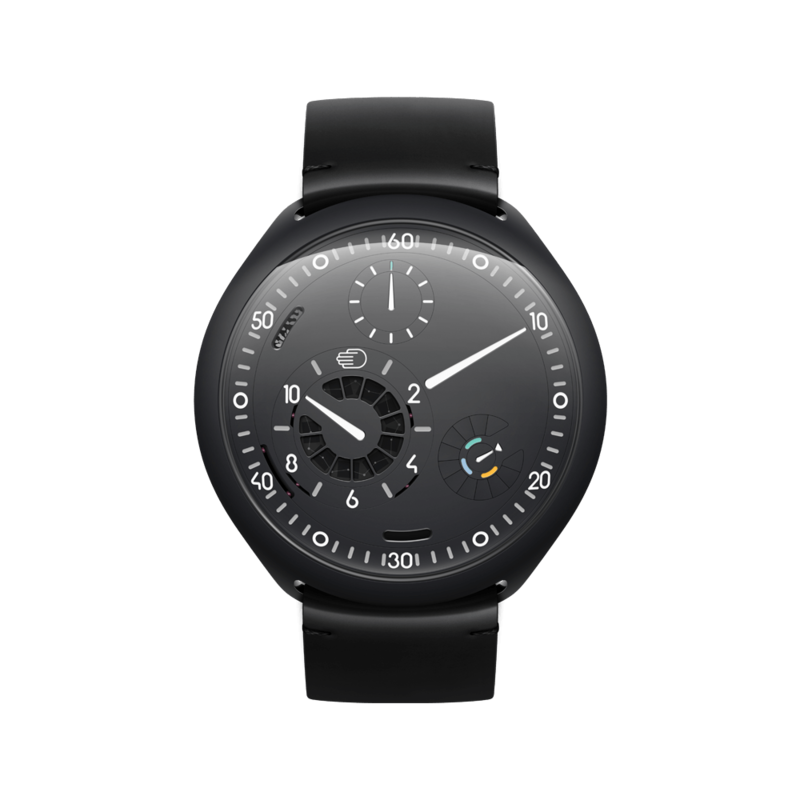 Ressence’s pursuit to improve the mechanical watch is uniquely its own and the Type 2 is a perfect example of the brand’s determination to build products that question what a wrist watch can be in the 21st century. The emphasis is not primarily on timing precision but to create a better product as a whole - considering such characteristics as legibility, usability, and user experience. We believe that displaying the time is essential to a watch. The readability is therefore as simple and efficient during the day as during the night thanks to extra strong blue Superluminova. "Fine-watchmaking must embrace new technologies to bring back functionality and excitement for the new generations." The Type 2 will be available in stores as of April 2019.